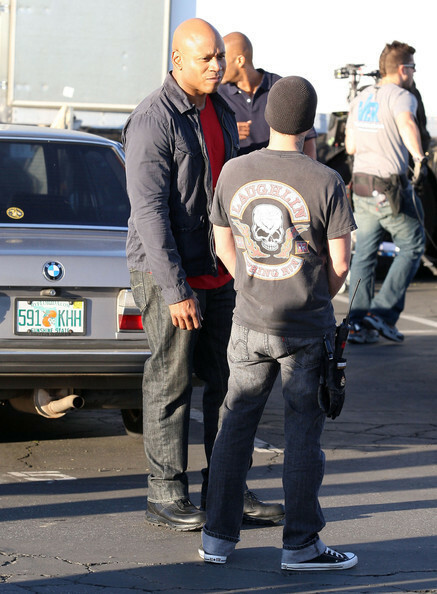 Stars On The Set Of 'NCIS: Los Angeles' In Pacific Palisades. Stars On The Set Of 'NCIS: Los Angeles' In Pacific Palisades. Wallpaper and background images in the NCIS: Los Angeles club tagged: ncis: los angeles season two ll cool j eric olsen deeks sam callen. This NCIS: Los Angeles photo contains automobile, car, auto, suv, and truck. There might also be street, city scene, urban setting, carriageway, hatchback, and hatchback door.